Where can you find the best beaches in Bali for all your favorite activities? Bali is home to an exceptional number of beaches. Due to easy accessibility and locations, some of the most popular Bali beaches are more high traffic than others. On the other hand, some of the most beautiful beaches are off the beaten path and an exotic adventure to discover. 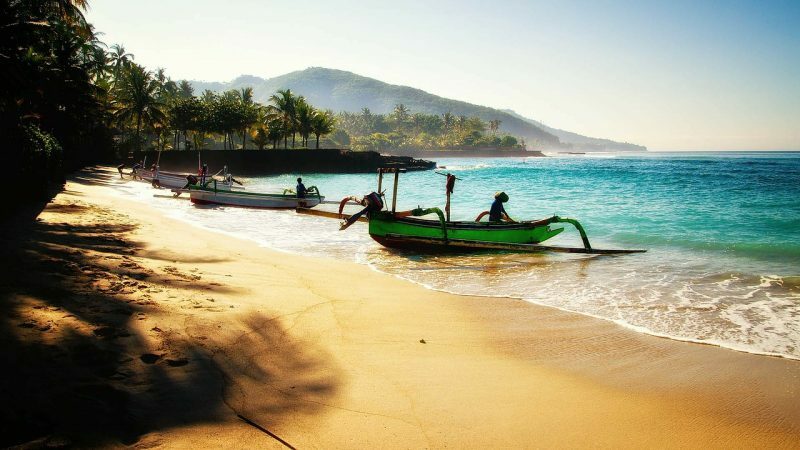 Subsequently, to tell you the 10 most popular beaches in Bali would be too easy. How about we tell you the 10 most popular beaches for your particular interests? Beaches, like people, are all unique and special in their own way. That being said, the type of water, sand, scenery, and terrain can make a huge difference in whether a beach is suitable for the activities you enjoy. For instance, you aren’t going to take a surfboard to a swim beach or have a wedding at a high tide rocky beach. Similarly, the island visitor in search of peace and quiet for a little relaxation will probably not seek out the most popular beach. Are there beaches where you can accomplish several of these things all in one place? Absolutely! Will the experiences be as spectacular as they would be in a place completely made for each one? Possibly not. So let’s explore some splendid island coastline and get you where you need to be! The volcanic formation of the islands left behind some of the most unique sands and landscapes on the Bali beaches. In addition, the wide variety of ecosystems adds to the uniqueness and splendor of the region. As a result, the combination of these elements provides for an unforgettable snorkeling experience. The Blue Lagoon located near Padangbai is known for the most exquisite underwater grandeur with a sandy bottom that is home to one of Bali’s coral reefs. 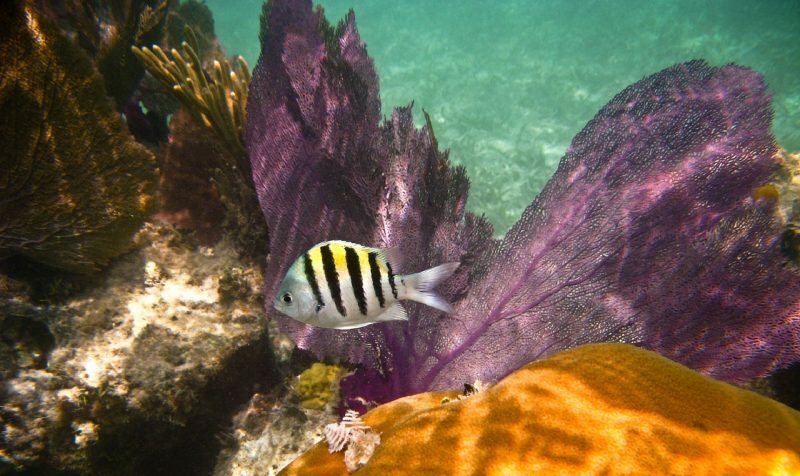 Here you can explore the reef seeing cattle fish, angelfish, cowfish, and moray eels. Since the waters are very calm, Blue Lagoon is also a great snorkeling spot for families and beginner snorkelers. It is located around 1.5 hours from Denpasar or a one hour drive from Ubud. To sum it up, if your ideal Bali beaches experience is filled with vividly colored creatures from the depths and underwater adventure, Blue Lagoon is your destination! 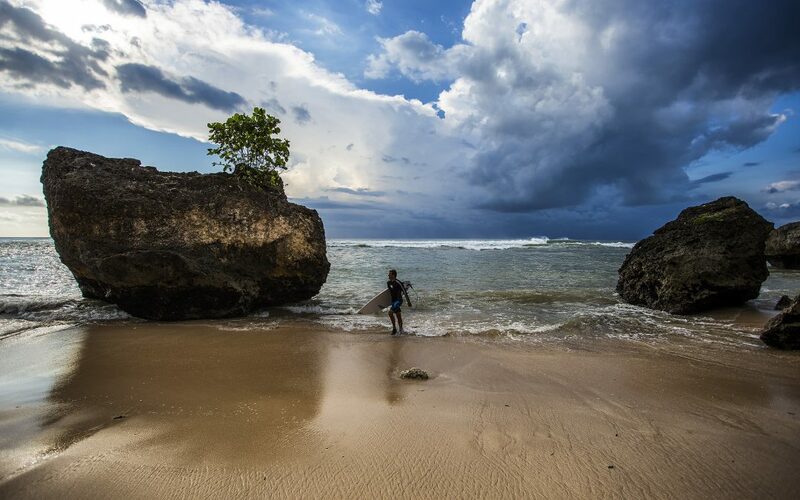 Nyang Nyang Beach is known for its secluded off-grid location, you will definitely adventure Bali on the way. Though there are many “hidden beaches” this one stands out as far as most adventurous to locate Nyang Nyang is a 1.5-kilometre stretch of coastline and also one of Bali’s least visited beaches. Due to it’s off the beaten path location it makes for a treasure hunt destination for day-trippers. The beach is located in the Pecatu area, half a kilometer southeast of the Uluwatu Temple. In addition, there are multiple routes off the main road down to the two halves of Nyang Nyang Beach. One of them is via Jalan Batu Nunggulan and right at the cliff edge of Villa Plenilunio. Lastly, you need to continue down some rugged terrain and flight of stairs. This expedition will take you through thick green plants and colorful exotic flowers with breathtaking views from the cliff tops out over the ocean. Since the journey is a bit trying it is rare to see other humans out on Nyang Nyang. Once you reach the beach you’ll notice the long-vacant coastline makes for a splendid walk. The west end of the eastern half of this beach has a split shipwreck in the sand and makes for amazing sunset photos. Who doesn’t love a refreshing dip in the ocean? It just so happens, Lovina has just what you’re looking for when it comes to swimmable waters. The waves are not crashing and the tide is not turning. Therefore swimming is optimal. 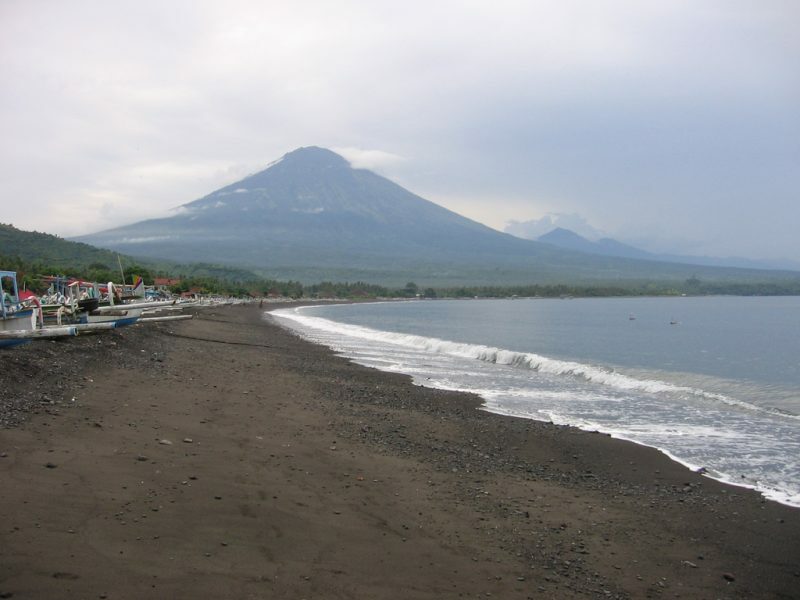 Lovina Beach spans two kilometers east to west and offers many options for food and drinks along the way. Along with all this, there is a good chance you’ll see the dolphins swimming. What a magnificent scene, sunrise over the sea and dolphins emerging from the surface. 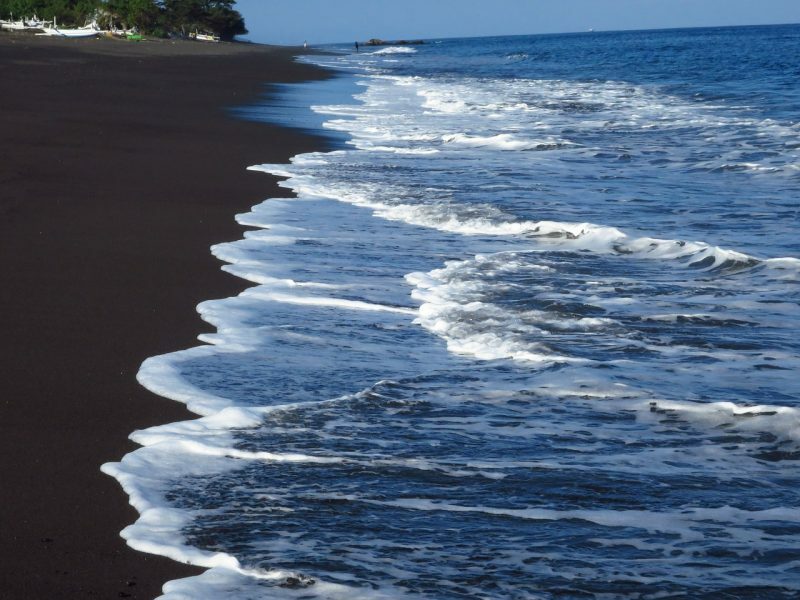 Additionally, the beach itself is rich black volcanic sand offering a warm and unique experience all its own. To sum things up, Lovina is not a crowded high traffic beach but more of a peaceful family-friendly day of swimming and sunbathing type beach. So, pack the sunblock and towels and hit the welcoming waters. 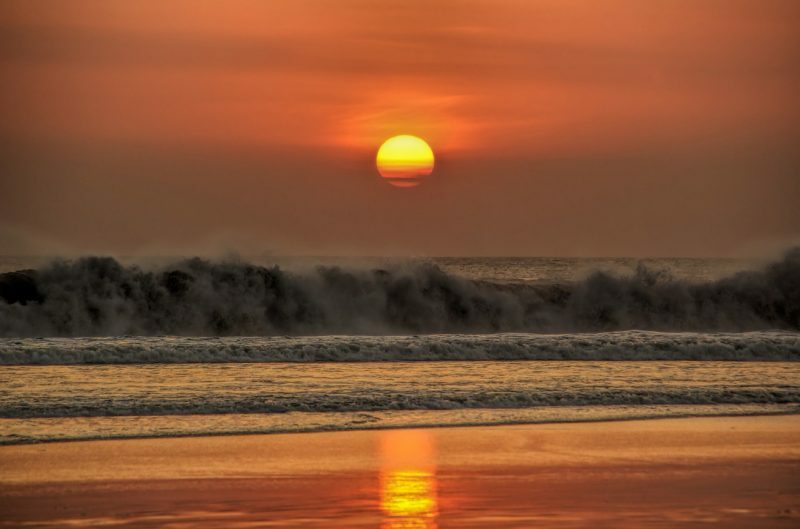 One of the most popular Bali beaches, Kuta, is known for its wave appeal. 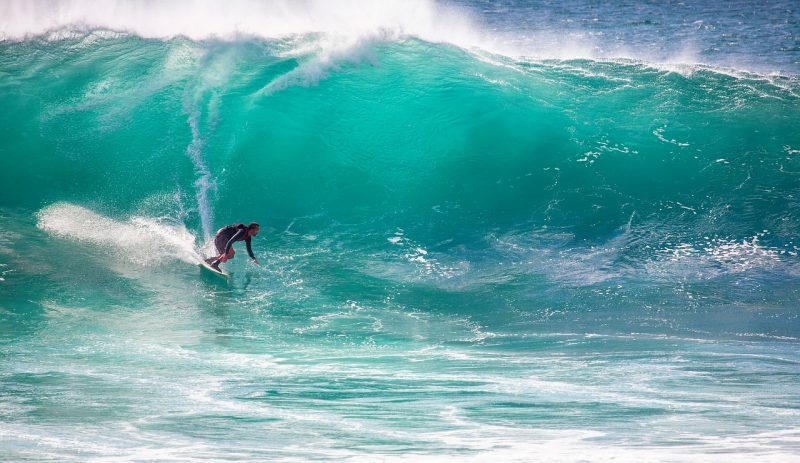 Therefore, surfers come from all around the island and the world to dive into the surf. Conveniently, Kuta offers waves for the beginner and also some superb barreling action for the pro surfer. Since the swells start out by the Airports landing strip there is a very unique twist to your wave riding views. In other words, planes and jets may take off and land as you glide in on your wave. Subsequently, the total ride can be around 70 meters back to shore and boat rides out are available. 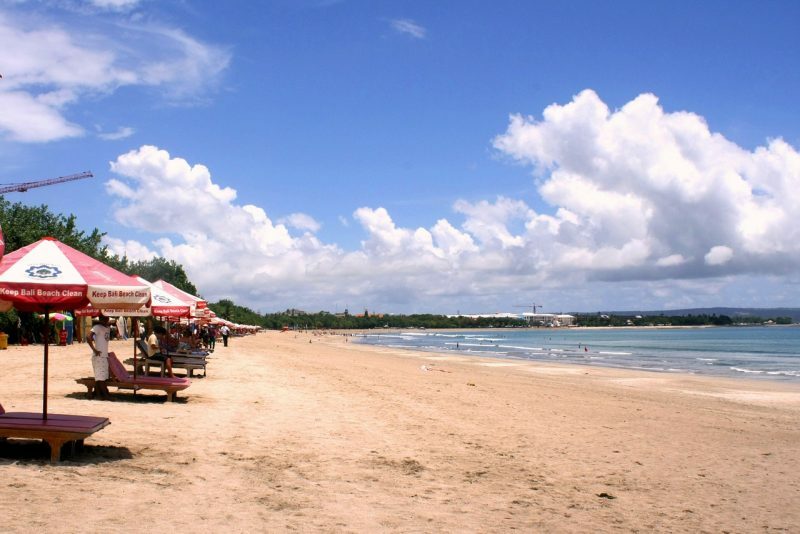 Kuta beach is also one of the more highly trafficked areas of the island. This means this is no lack of hotels and restaurants to choose from after a long days surf adventure. First of all, there is something magical about finding seashells on the beach after the tide has come in. The colors, the shapes, the tiny creatures. The beaches become a wide open treasure chest of underwater gems all there for the taking. Due to the tide patterns, Sanur Beach is the ideal spot for shell collectors. As you would expect, a variety of things from coral to shells, to starfish and other creatures, wash up on shore daily. The waters are crystal clear and the “treasure hunting” is virtually endless. 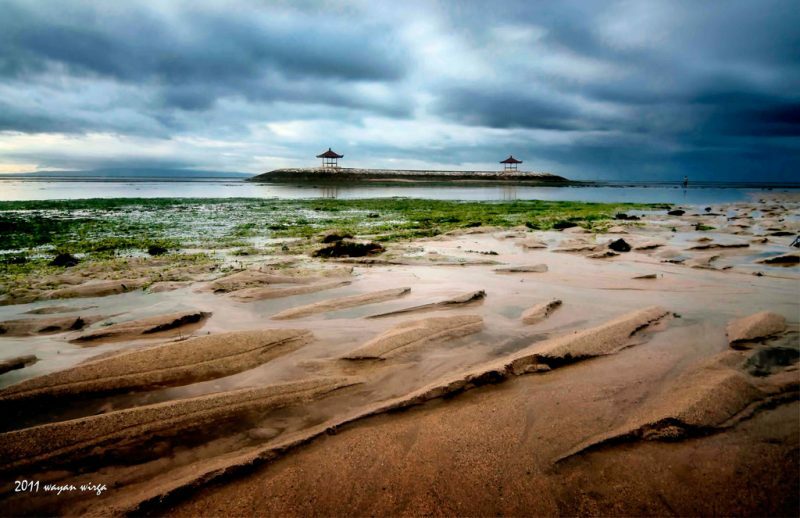 Sanur Beach is the oldest settled area on the island and very well established in the tourism industry. Due to its long-standing reputation, it is home to not only the best shell seeking coastline but a vast span of hotels, shops, and eateries. Soaking up the sun and some fresh island air can be the most soulful experience on vacation. And, Bali beaches offer many places to do just that. One of the top-rated spots to relax on the island where you are sure to find serenity is Bias Tugal Beach. Bias Tugel Beach is a 130-meter stretch of white sand just south of the Padangbai Harbour. The bay offers a tranquil scene that is made possible by a long narrow headland that keeps it hidden from the hustle and bustle of the nearby port. You can easily reach the beach via a short walk past the cape from the main road. After that, a beautiful seascape with calm blue waves, rock pools and golden sand with streaks of volcanic black lay waiting for you to plant your feet into. Go ahead, throw out the towel and lay down for a nice relaxing soak in the sun with no distraction. The sounds of the rolling waves will keep you company along with a few birds flying overhead. What goes up must come down. Therefore the sunsets are just as lovely as the sunrises at this very unique Uluwatu beach. It can be argued which is more breathtaking, but you can be certain an island view of either is priceless. So let’s begin with the day dawning. As it turns out Sanur beach is not only the best “shelling” beach but also the best place to catch a sunrise. Now that just goes hand in hand since the best time to hunt shells is early morning when the sun comes up. After the sunrise and shell hunting, adventure Bali for the day and end up in Tegal Wangi at dusk. 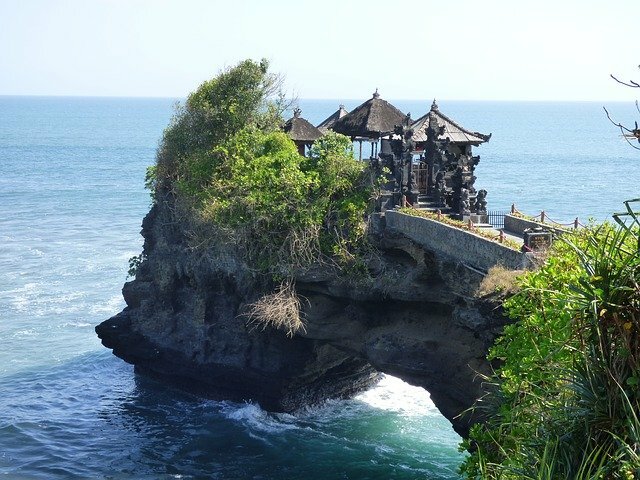 Tegal Wangi Beach is a beautiful secret spot situated on the south-western coastline of Bali. Most importantly, it is unlike all other beaches in Bali. Tegal Wangi has its own natural hot tubs as well as an awesomely hidden cave. The setting makes for the most stunning photo spot, especially at sunset. First, get there, try out the cliff jumping if you dare, then hop in the soothingly warm pools and prepare for an epic sunset photo opp. 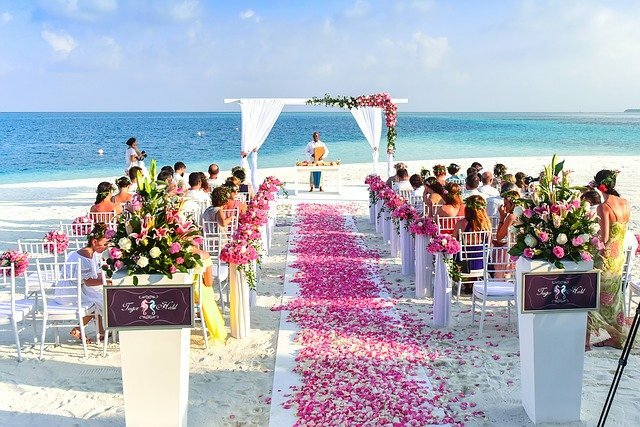 Sawangan really takes the cake as one of the islands most popular beaches for weddings. This location is rather remote though easy to access. Also, the beach is white sand and the waters are vividly blue making a luxurious backdrop for photos. Furthermore, Sawangan is one of Bali’s lesser traveled beaches allowing for privacy on your special day. Along with the gorgeous setting and peacefulness of the area, Bali’s climate allows perfect weather for an outdoor celebration of your love. 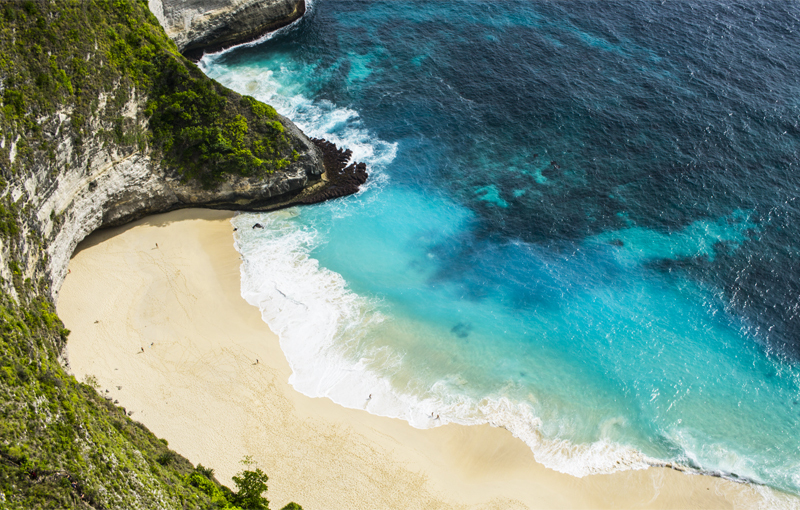 When it comes to the most popular beaches of Bali, there is a bit of a tie. Kuta is definitely up there in rank for its surfing and accessibility to accommodations and refreshments. However, the beach of Legian stretches for 2 km, starting from the northernmost point of Kuta Beach and rivals it’s daily traffic numbers. The beach scene is similar to Kuta. There are parasol-shaded sun loungers and beach bars, roaming beach masseuses, and people selling trinkets. Legian does offer a narrow beach road separating the beach from the hotels, restaurants, and bars. This means it is inaccessible by public traffic and great for pedestrians. In other words, less chaotic than its southern sister. How about Shipwreck Diving, Fishing, and Star Gazing while surrounded by volcanic black sand and a view of a volcano? Ahmed Beach is home to several long gone but not forgotten sunken ships laying on the sea floor for you to explore. For example, the famous USAT Liberty wreck, home to turtles, barracuda, lovely corals, and great macro life. Then there is the Japanese Shipwreck for more macro and many gorgonians on a sloping reef. Sticking with the diving theme, the coral reef is exploding with life vibrant colors. Spot mimic octopus, ghost pipefish turtles, reef sharks, blue-spotted stingrays and many reef fish. For the big fish lovers sharks, barracudas and occasionally even the sunfish (Mola Mola). When you see more boats than surfboards, the fishing must be good! ahmed is a local hot spot for a good days catch. This is also a popular salt mining region, supplying the primary source of income in the area. There you have it, all the info you need to adventure the best Bali beaches. So, are you up for a day in the sand and the sea? Luxury Bali Tours is waiting to help plan your holiday on the beach!